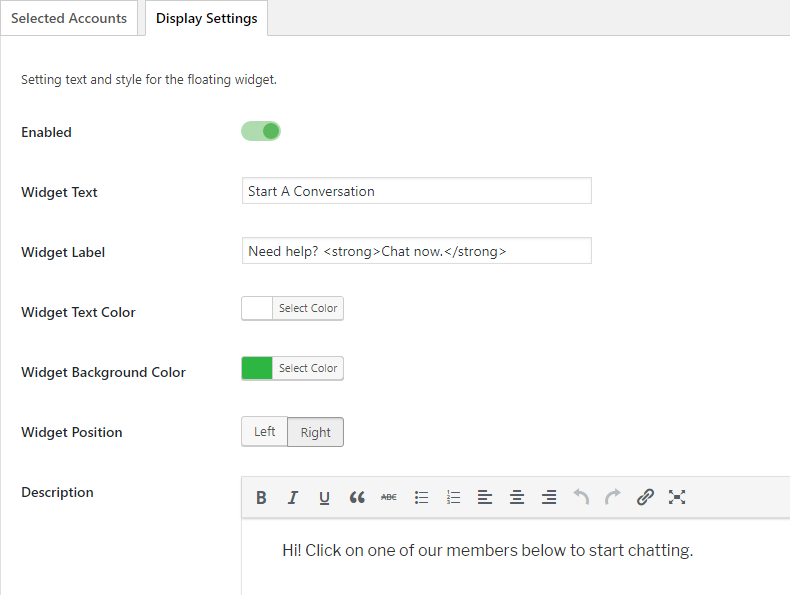 This is a step-by-step guide to the setup of the plugin WhatsApp Chat WordPress by Ninja Team. 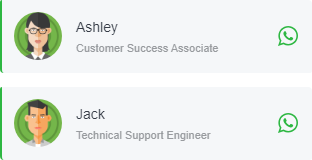 The name of a staff/member, for example, Ashley, Jack, Jill, etc. Their job title, for example, Customer Success Associate, Technical Support Engineer, Sales Associate, etc. 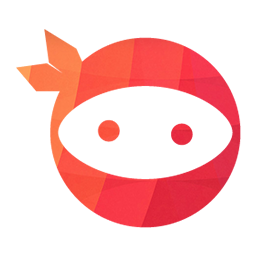 This title is displayed in the floating widget. 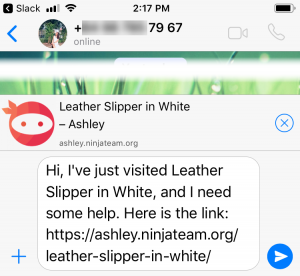 This is the text message which is auto generated when your customer first chat with you. 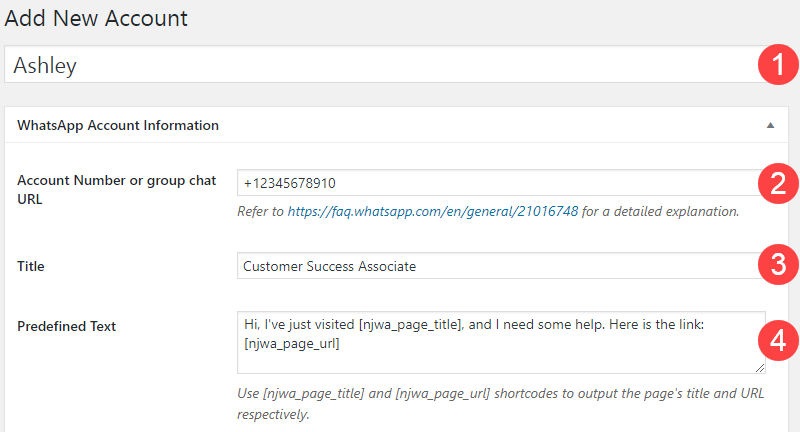 The greeting text of their shortcode button, for example, Need help? Chat with me on WhatsApp. 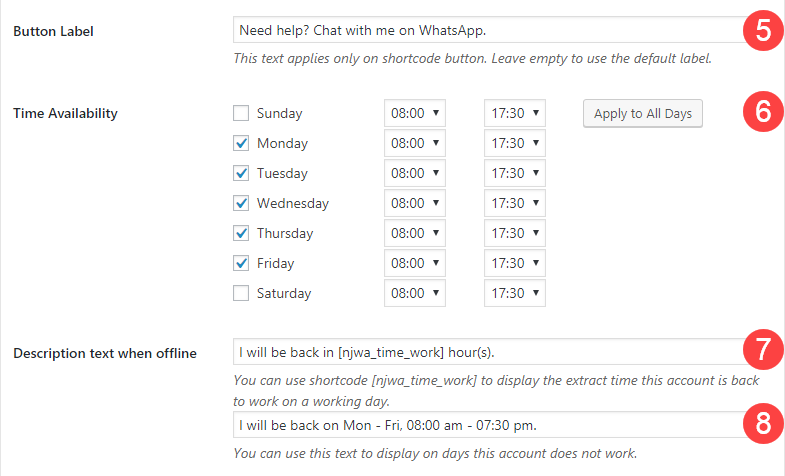 On business days and before start times, this text is displayed as a countdown timer, for example, I will be back in [njwa_time_work] hour(s). This text is displayed when it’s after working hours of business days and on days off, for example, I will be back on Mon – Fri, 08:00 am – 07:30 pm. Here you can customize how the button looks. By default, in online status, the button has square borders, background color of green, and text color of white. Here you can set a profile picture for the account. Click on the search bar, and all accounts will be listed there. Click to select an account. 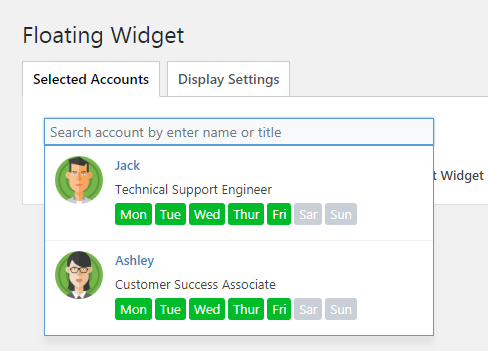 You can customize attributes of the floating widget here, including title, subtitle, colors, and position. Here you can set default settings for the shortcode buttons. However, these settings will be overridden by “Button Style” settings in each account profile. 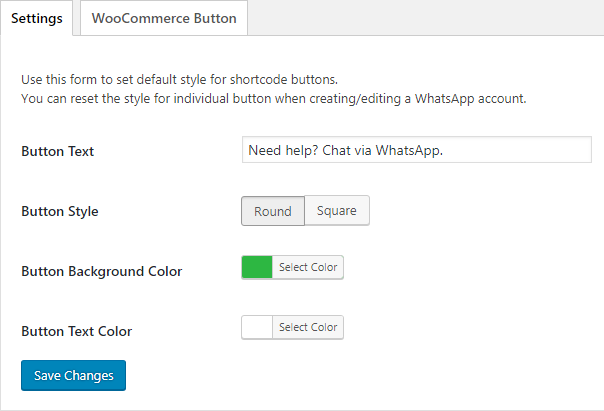 This option is for adding the shortcode button onto WooCommerce product pages. 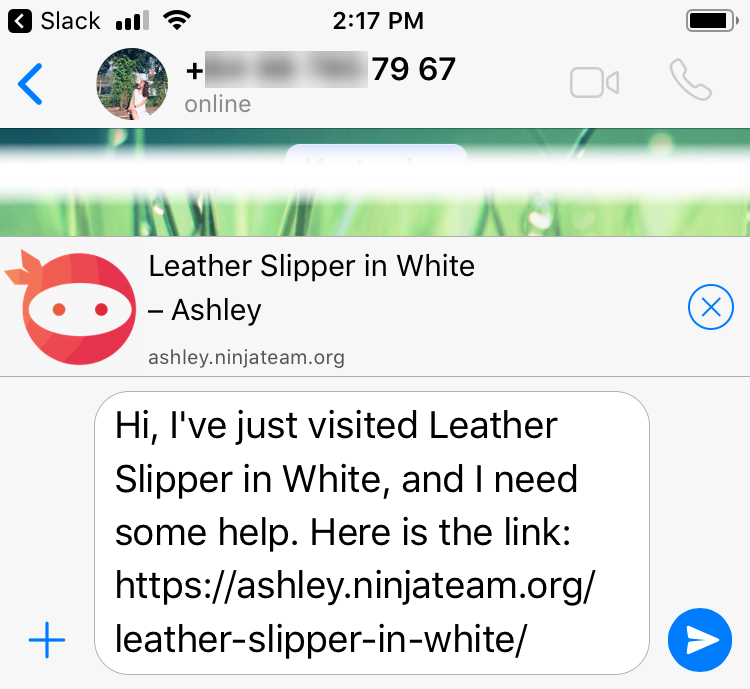 Thank you for being with us, and if you have any questions, feel free to chat with us at m.me/ninjateam.org.